The Peak is a low density condo development located at the hilltop of Pepys Road. It is beside the Historical Site of Battle for Pasir Panjang in Kent Ridge Park. It's location is tranquil, serene and peaceful. Surrounded by the beautiful green foliage of Kent Ridge Park and situated at a high latitude, all apartments in The Peak enjoy amazing view of the sea, greenery and the city. The Peak is near to International Science Park, West Coast Park, National University Hosiptal (NUH) and National University of Singapore (NUS). It is also within 8 minutes drive to the Holland Village and 15 minutes to the Central Business District. 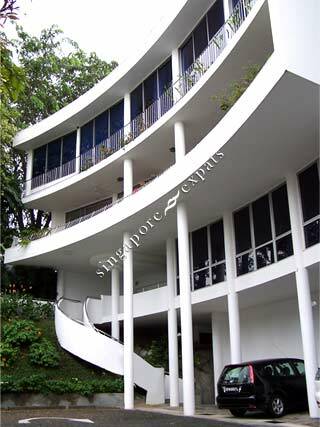 The Peak is accessible from the other parts of Singapore via the Ayer Rajah Expressway (AYE) and West Coast Highway.